Sometimes, my library has everything I am looking for and more. I love when I discover specific titles I have never even heard about. Other times, even when I search the entire system, I can’t find what I want. So visiting another library in another city, another country actually, meant nonfiction jackpot! 🙂 Thank you Seattle Public Library Central branch for being so well stocked! And for the gorgeous views . . . I am a once was-almost am again gardener. Working full time means less time in my garden. Now it is all about low maintenance, wildlife friendly plants. I love rainy late fall afternoons sitting in the window and watching birds swoop in to feed on rudebeckia and echinacea seeds. And summers when a butterfly lands, well . . . So this book really appealed. I certainly don’t live on the prairies. The Pacific Northwest is a far cry from flat, farm land. 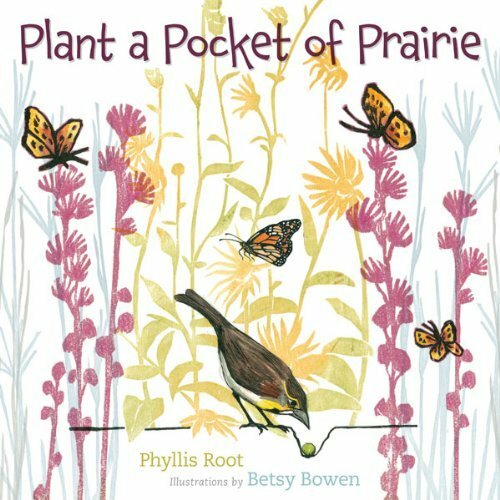 But, I as this book suggests, one might plant a pocket of prairie. And then, the visits from the birds and insects who love these prairie plants might begin. I know from experience, that they certainly do. I loved the detailed information in the back of birds, animals and insects who might visit these prairie flowers. Beautiful book. Inspirational accounts of young people standing up for their rights and the rights of other children are so important to share with our students. I can see this book hitting my students hard. They know Malala’s story of perseverance, tragedy and recovery. 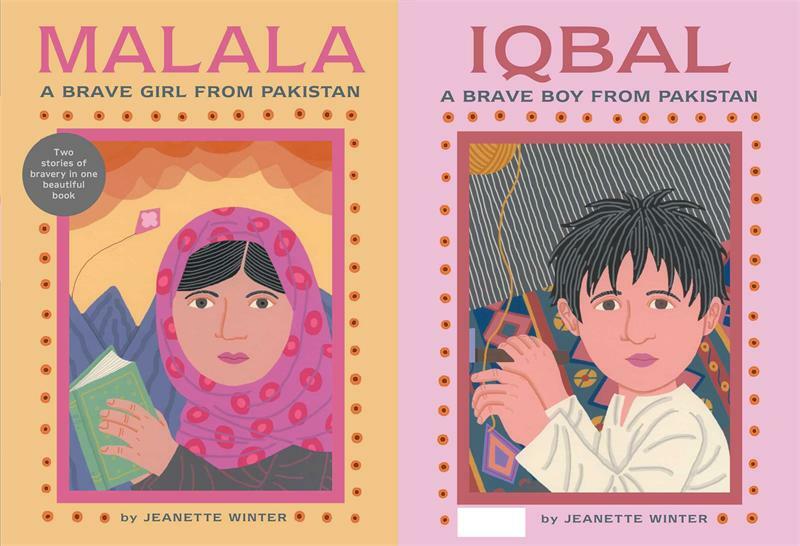 Iqbal’s story is not one of survival but his courage is just as strong. I hope that our school library can purchase this title so that my students will be able to read it. This book will be an excellent title to begin discussions and to prompt further research. I love this biography! It is full of energy – from its inspirational story to the gorgeous, bright illustrations. I had no idea about how the changes to women’s swimsuits came about and I love that the change was influenced by an athlete wanting more women to experience the joy of swimming! What I loved even more though was how the water was Annette’s ticket to health and athleticism after being weak and ill as a child. I would love to get a copy of this book for our picture book biography collection. 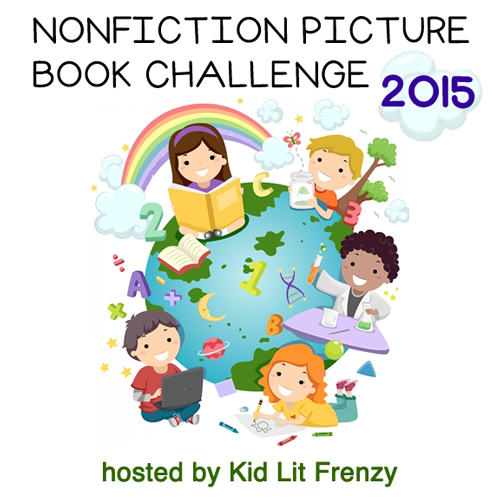 This entry was posted in Non-fiction, Nonfiction Picture Book Wednesday and tagged #NFPB2015, Betsy Bowen, Edwin Fotheringham, Jeanette Winter, nonfiction, Phyllis Root, Shana Corey by carriegelson. Bookmark the permalink. I love Plant A Pocket of Prairie, think I found it at school. 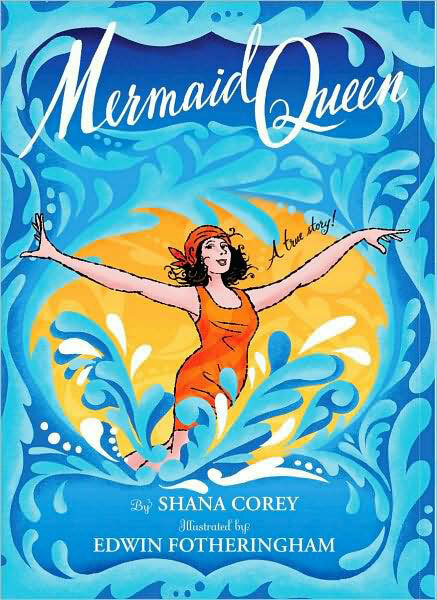 Thanks for Mermaid Queen, new to me, Carrie-looks like fun! It is wonderful! I had been looking for it here and couldn’t find it so was very excited to discover it in Seattle. Mermaid Queen is new to me. I have to find this one. 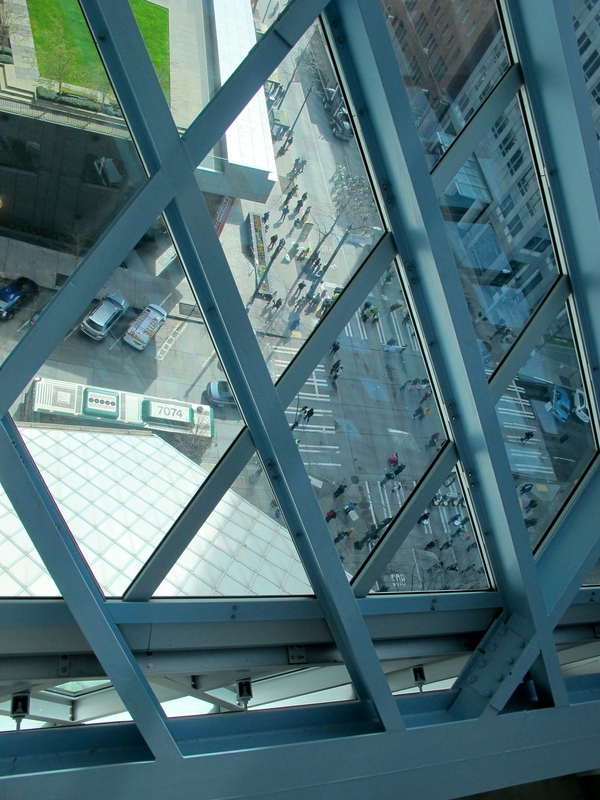 And love the view from the Seattle Public Library. Oh so pleased that you found some new titles to look for! Beautiful titles this week, as usual Carrie. What a gift to be able to travel! Is Seattle still gray and overcast? I hear from friends who live there that there’s a hint of spring now this week. 🙂 That is indeed a beautiful view from the library. Hope you enjoy the rest of your Spring Break! It was beautiful and sunny until our last day. Not far from Vancouver so rain and cloud are normal for me! Many winner titles of newly found nonfiction books is delightful. Since I live on the Illinois prairie and was born and raised in Minnesota, PLANT A POCKET piques my interest. I must add it to my wish list. It is truly a wonderful book! I am sure you will really enjoy it. I love that you found a library to visit on your trip! The prairie book was a fun find last year, especially since we have many of the plants mentioned as part of Illinois’ protected species. It was a great book to add to our school library.